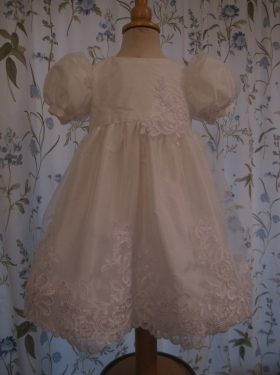 The Hazel Christening Gown is the latest of the Little Doves' collection that replicates the grandeur of the Edwardian era. 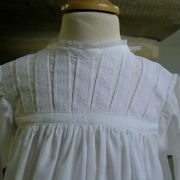 It has a wonderful grace and simplicity about it whilst also creating a sense of elegance and quality. 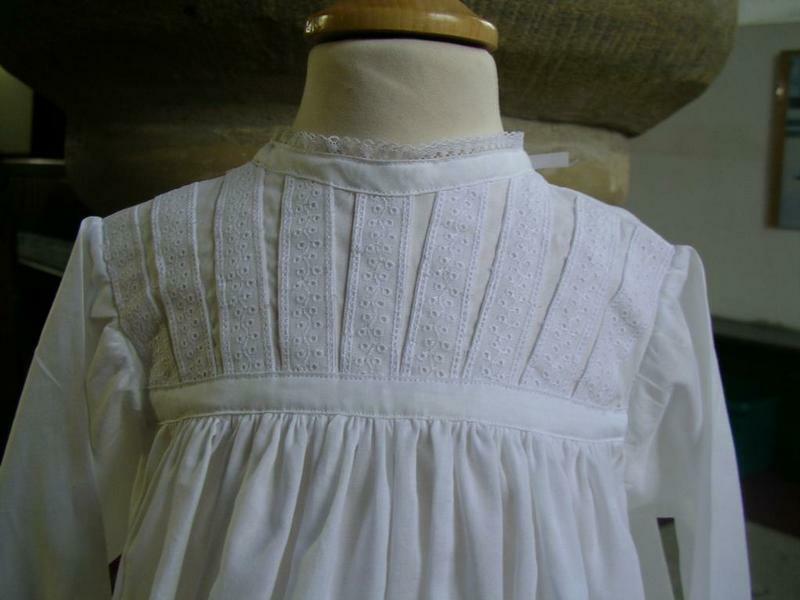 The small yoke is decorated in narrow vertical bands of Swiss lace and finished with a delicate neckband trimmed in the most beautiful narrow cotton lace. 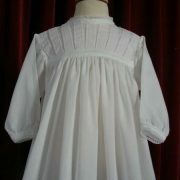 The back bodice has vertical pintuck detailing. 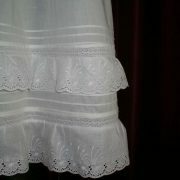 Long sleeves are softly gathered into the arm and are trimmed with a narrow cuff and again that beautiful cotton lace. 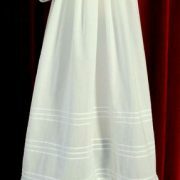 The grandeur of the gown can be seen in the full skirt. 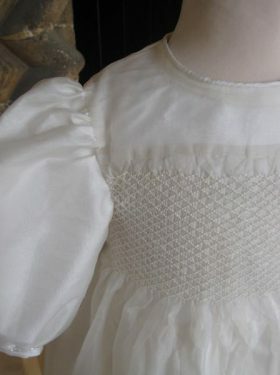 Long and flowing and measuring 40 inches in length, it is decorated with three bands of horizontal pintucks and two wonderful rows of gathered Swiss lace and lace trim to match the bodice. 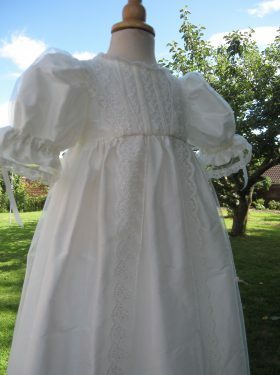 The gown is made from 100% pure cotton lawn and a selection of Swiss lace. 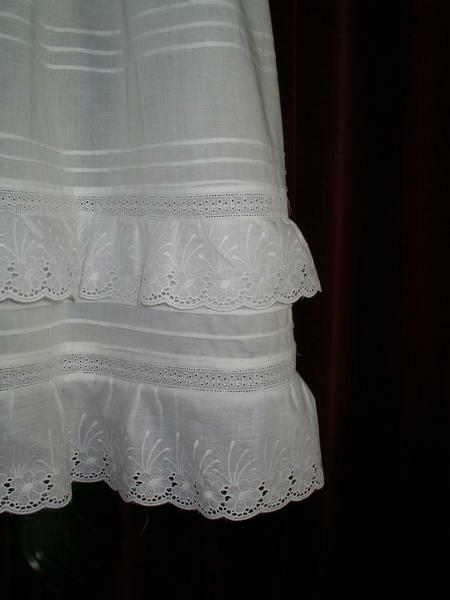 Different styles of Swiss lace are available for you to choose from. Please contact us for samples. 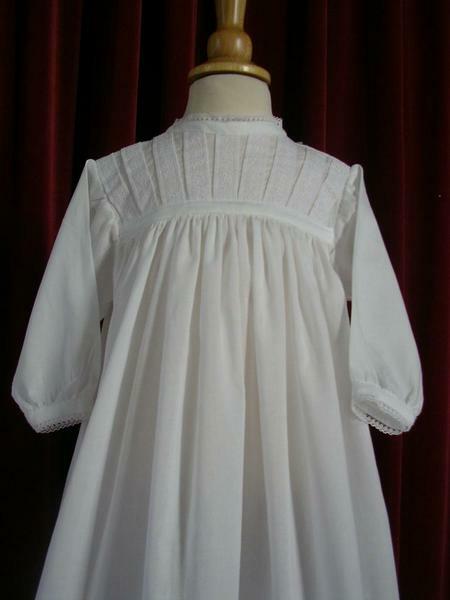 All in all, this is a charming Edwardian reproduction gown that is perfect for any baptism, whether for a baby girl or baby boy. 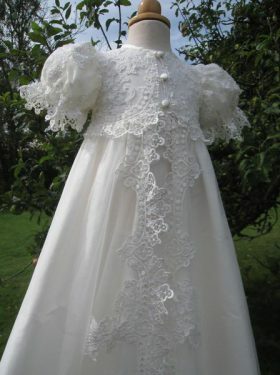 All Hazel Gown accessories are made to match the Christening Gown using the same cotton fabric and matching Swiss lace trim.